A 530-ft-tall office tower in downtown Vancouver has been dubbed ‘The Stack’ given its unique form of a twisting, stacked box design. 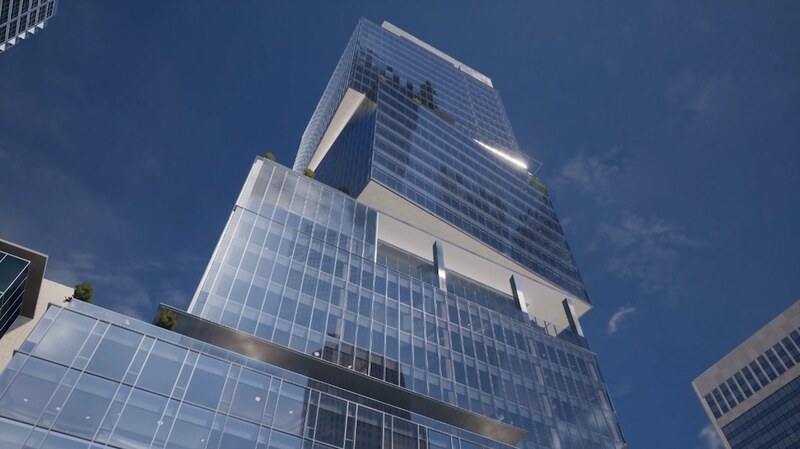 Oxford Properties announced today that its office tower at 1133 Melville Street is proceeding, with anchor tenants Erns & Young (E&Y) taking up 60,000-sq-ft, law firm Blakes taking up 80,000-sq-ft, and law firm DLA Piper taking up 67,000-sq-ft within the top two boxes of the building. All three companies already have a major presence in downtown Vancouver: E&Y has an existing office at TD Tower, Blakes is at Three Bentall Centre, and DLA Piper is at Park Place. They have effectively leased the entirety of the top two boxes of the new building – between floors 19 and 36.